MEGHAN Markle and Prince Harry are clearly still in the throes of wedded bliss. 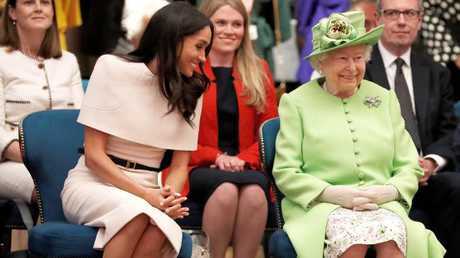 The new Duchess of Sussex, 36, joined the Queen at a series of events in England on Thursday, and couldn't help gushing over her new husband during a meet-and-greet with fans. Hundreds of wellwishers waving Union Jacks had packed the streets of Chester ahead of the royal visit. In footage filmed by members of the crowd and shared on Twitter, Meghan can be heard speaking to a woman who asked her how she was enjoying her new life with Harry. "It is wonderful, I'm really enjoying it," Meghan replied. Meghan looked stunning in an ivory cape dress from Givenchy - the designer she also chose for her wedding dress - with a black belt, black stiletto heels, and black clutch bag. 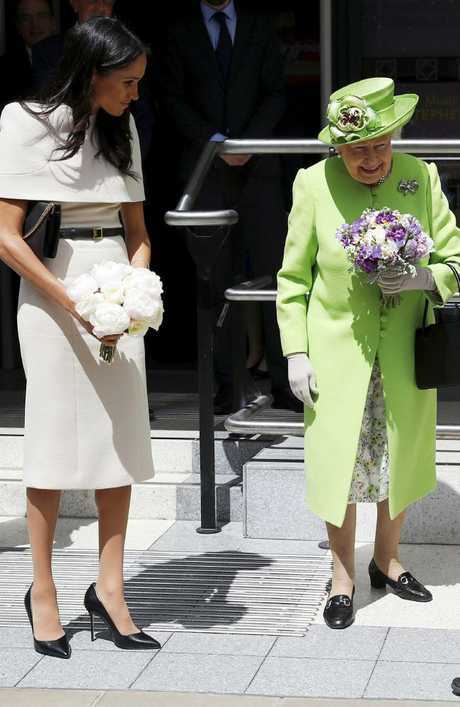 Meanwhile the Queen wore a spring green coat by Stewart Parvin and matching hat by Rachel Trevor Morgan. The first stop on their tour was at Runcorn Station, where they formally opened the new Mersey Gateway Bridge, a six-lane tollway. Following that, the pair visited the Storyhouse cultural centre, where they met a group helping Syrian refugees, watched a performance by a dance theatre group made up of former addicts, and inspected a new children's library. Meghan and her new grandmother-in-law were all smiles as they took in the sights. 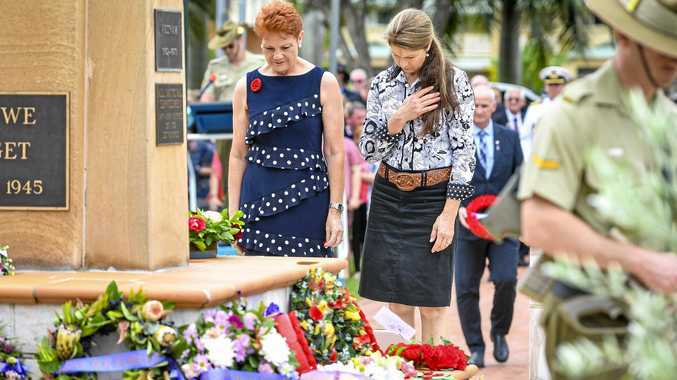 They then walked through the streets of Chester to the local town hall where they attended a council lunch. The decision by Queen Elizabeth, 92, to invite the Duchess to join her - less than a month after her wedding to Prince Harry - shows the royal family has no hesitation in using the confident and poised Meghan for public appearances.